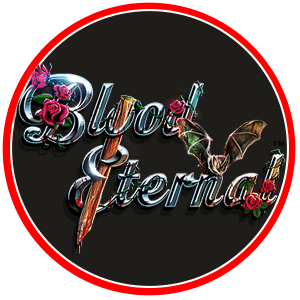 Blood Eternal is a slot game about vampires. Now, this is a pretty “niche” theme, and chances are that you will either love it or hate it, and you won’t be indifferent in any case. But if you find that you like vampires in their various incarnations; then it’s highly probable that you will love this game. Below you will find more information on what this game is all about, and what exactly make it so special. Again, everything about this game, from the background to the symbols to the music – is related to vampires. The symbols come in various designs – you will be able to see bats, stone statues of monsters, vampires, humans, crosses, and the card symbols. The background of the game is of a mysterious, dark, creepy room; lid only by the moonlight and a few candles. There are a few portraits in the background; and everything in the scene will tell you that you’re in a vampire fable; and if you manage to delve deeper and connect with the game – you will feel like you’re just about to get bitten by a vampire at times! The music itself is made in the spirit of vampires (no pun intended); and it adds to the overall atmosphere of creepiness and imminent danger. As mentioned, not everyone will be enchanted by this atmosphere – some will even find the creepiness repulsive. But for those of you that really enjoy these scenes, you will find that you will like the graphics and theme of the game. This game features incredible 40 pay lines, which, for those of you that are uninformed; are the lines on which you will be able to make the combination of symbols in order to win something. The good thing about this game is that you will be able to make a winning combination both ways – from left to right and from right to left. Moreover; you will find out that there are quite a few bonus features. 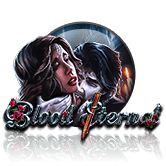 The first of them, and the most fascinating one, is the Vampire Free Spins feature. In order to activate it; you will have to have the luck of drawing a vampire right next to a human on the reels. In such a case, the vampire will bite the human, and the feature will get activated. After this, at every successive spin, there will be a blood splatter coming from the vampire and the victim, and the splatter will turn various symbols on the reels wild. Wild symbols will take the form of any other symbol if you need it for a winning combination. It’s as simple as that. There’s also the double bat feature; which means that if you can draw six double bats on the reels; and make a winning combination with them, you will be able to get a huge sum in return. Try this game out, we think that it really has the potential to draw you in. Unless you’re repulsed by bats, chances are that you will like what it has to offer to the tune of pure slot game fun.